We are dedicated to providing clients and trainers with high quality horses for dressage, for carriage and recreation purposes. We provide professional assistance to horse owners or trainers. Our honest, ethical and reputable contacts enable us to provide our clients with high quality, valuable horses for their money and saving time, money and the frustrations that can occur. We always hope you will be able to come over and visit us in Friesland in the Netherlands. Meeting each other in person provides more information than any website in the world. You must know that we will gladly pick you up at the Amsterdam Schiphol Airport personally and we can take care of hotel reservations if necessary. If you would like to rent a car yourself we can provide you all the information you need to get here. If you are looking for your dream horse, do not hesitate to make inquiries or an appointment. You can contact us by phone or email. Please let us know what kind of horse you (or your student) are looking for by giving your preference for gender, age, height, schooling level and price range. 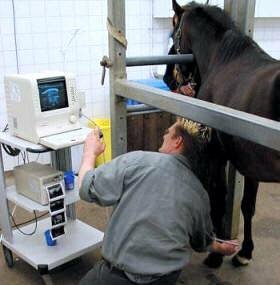 We also have every Friesian horse undergo a very strict clinical exam including all flexions, trotting on hard ground etc. 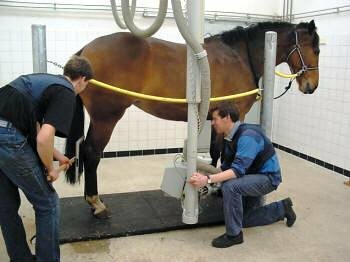 We have our specialized horse clinic to perform the clinical exam the same way it is done in the United States. Your horse will be tested on dourine, glanders, coggins and piroplasmosis. The results for these blood tests will take three working days. Mares and stallions have to do CEM tests as well. 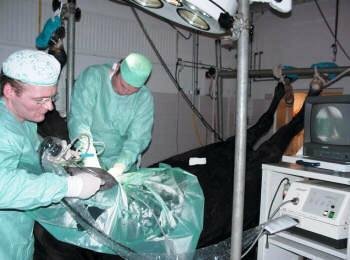 A physical medical examination by an official government veterinarian/inspector just before departure of the horse is also compulsory. This is to confirm that the animal is fit and healthy enough for the journey. We strongly recommend you to insure your Friesians from the moment you purchased it. Of course we can take care of this on your request. After we have the (negative) results of the blood and CEM tests we can look for a date that is convenient for you. Usually we can book a ticket in 1 or 2 weeks. KLM Cargo fly to almost every destinations. The Friesian horses are treated as first class passengers with specific needs. Each horse shipment is accompanied by professional grooms, who monitor the well being of the horses and will ensure stress free transport. Friesian horses for the United States of America must go for 3 days in quarantine on arrival and will then be tested on earlier mentioned diseases. When these tests give a negative results, the horses will be released from quarantine. Geldings can then travel to the final destination. Mares and stallions older than 2 years must be transported to a CEM-quarantine facility. For the other destinations a quarantine or isolation period may be required before departure of the horses.